Within Teamwork Projects, when viewing a particular project you can filter the links that have been added. 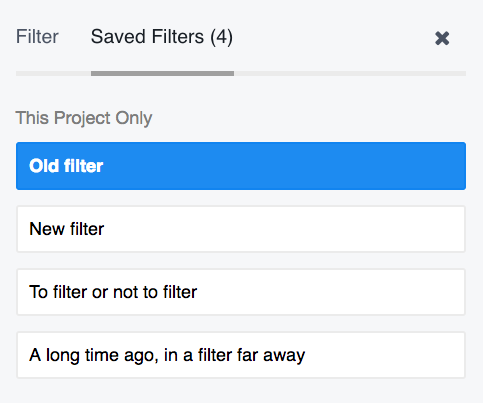 Note: This icon will appear blue when the filters pane is open, or a filter is applied. You can use this to filter your results down to the search term entered. Filter based on who added or created the link on the project. You also have the option here to include items from deleted users. When this is selected, deleted users will then appear in the Created By dropdown. When setting the date, you can choose to see results for when a link has been added using the set time frames found within the drop-down. 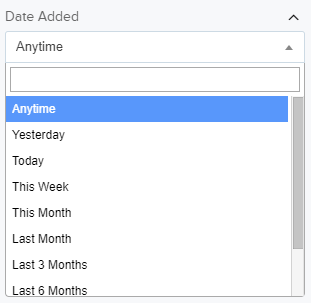 You can also choose to set a custom date range or a within_days option where you can set a day interval to filter between. 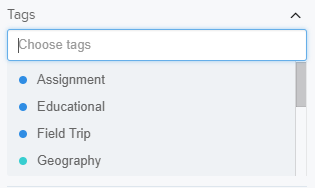 You can choose to filter tasks by the tags associated with them. You can apply more than one tag when filtering results. Note: You can filter any results that include one or more matching tags. Alternatively, you can select the Match all tags option which will then only return results which include all selected tags.